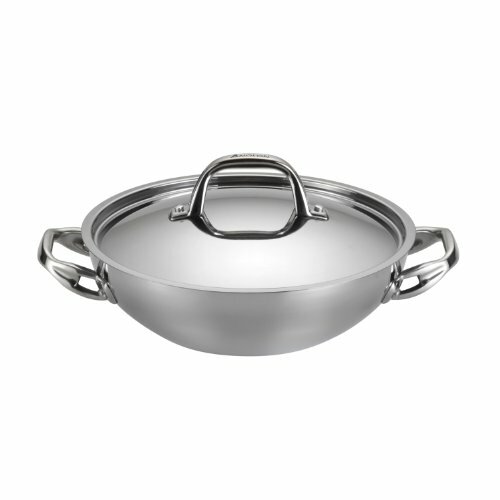 Perfect for slow-cooking savory roasts, this Anolon Tri-Ply braiser is a must have. Crafted from stainless steel, this essential boasts a polished exterior and a brushed interior for a defining presence. The design offers a commanding induction and broiler safe performance that includes quick and even heating. Oven safe to 500 degrees Fahrenheit, this pan has dual riveted cast stainless steel handles and a stainless steel lid. Dishwasher safe, this braiser promises effortless cleanup. If you have any questions about this product by Anolon, contact us by completing and submitting the form below. If you are looking for a specif part number, please include it with your message.